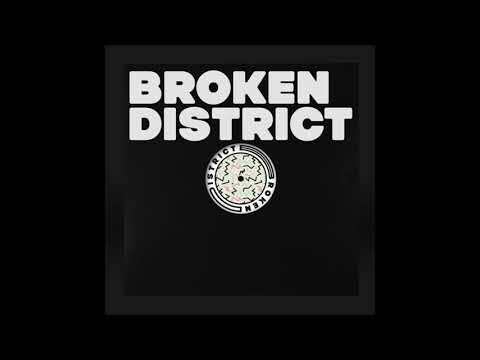 It’s rare to find a ‘Various Artists’ compilation that glues together from start to finish as well as Broken District’s debut, five-track record, set for vinyl release on April 27 before its May 11 digital release. Finding blanket-terms to shortly categorise music isn’t easy at the best of times, but the heads of the new label, Jus Jam, Momla and Antwan, have done it for us. They said they want its output to fuse their tastes, which include jazz, house, hip-hop, funk, soul and more experimental genres. And each one of these elements, at some stage of the record, rise up strongly and contribute something very authentic. So the whole record is definitely worth a listen, but we suggest you pay particular attention to our premiere, Jeppe Wolmer’s Normal Position. Fresh out of Copenhagen, this nearly seven-minute house rhythm is lightly pieced together by jazz and funk building blocks, like deep, groovy chord stabs and a looped guitar riff. The B1 on the record, it’s a great example of the EP’s multi-generic flavour. Other tracks on the record come from Bordeaux’s Momla, Berlin-based Marian Tone, Jus Jam and Yepes & Plae Casi, the latter of whom step out of their hip-hop norm to produce arguably the track of the record.